It's Monday night and that means I'm hear to answer more questions. Dear Shelley, Animal prints are wild again - pardon the pun. That being said, I've always found it to be a difficult trend particularly in clothing. I once heard a comedian say that the only women that can pull off animal prints are well-to-socialites and hookers. That kind of leaves the middle class gals out! And I have to say, I sort of agree with that assessment. You need a lot of confidence to pull off a full length cheetah print coat or leopard print skirt. That's why you should play around with handbags - naturally. Try a small clutch or a bag that has a solid leather base with slight animal print accents. In terms of pricing, that's always up to your budget. 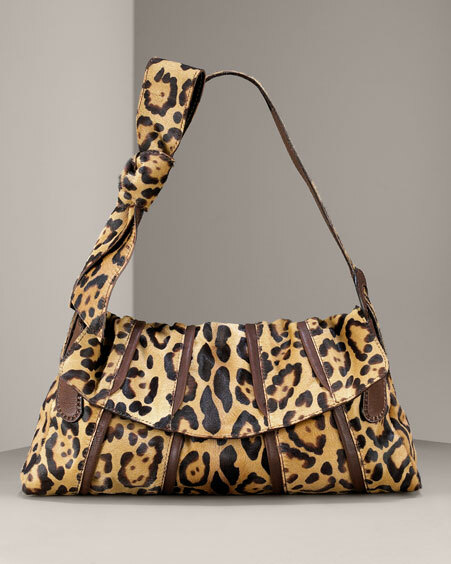 I wouldn’t necessary invest in animal print bag, unless you see truly love the bag and will get mileage out of it. Below are a few choices at different price points. Dear Michele, For laptop bags that are fashion forward, I would look at MARKA (each bag is named after an ex-boyfriend of one of the two designers, so there is a great back story to each design) and http://www.melissabethdesigns.com. The later is more for travel, though the brand has introduced some slimmer everyday options. 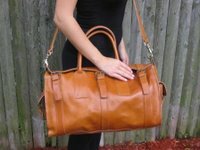 Also, consider Talene Reilly’s Sydney Bag which comes with the brands signature laptop compartment. It’s not too wide so it has a sleeker look. 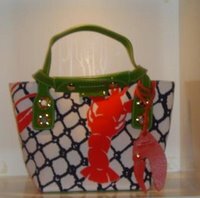 I had the pleasure of previewing Kate Spade's Spring/Summer 2007 accessories collection and there were no misses. From the python clutches to lobster inspired totes, I was ready to head off to the Cape. PS Ms. Spade is very nice and so petite in person! We're going to try and get an exclusive interview with the handbag maven. Stay tuned!! The fashion-fur King, J Mendel, showed red-carpet winners certain to grace the pages of fashion magazines and the bodies of many starlets. 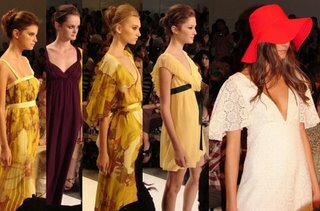 See what Niki Khindri has to say about J Mendel's Spring/Summer 2007 Collection. Olympus Fashion Week has come and gone, but we're still adding new show reviews and trends. It's a day of celebration here in BagTrends land! Yesterday, the New York Magazine Blog listed BagTrends as one of its favorite fashion week blogging destinations!!! Today, a Wall St. Journal article discusses the evolution of blogging (and new online media, as a whole) and it's steady acceptance among the fashion elite. Oh, and BagTrends is in the lead paragraph. Have a VERY bag-a-licious day! The BagTrends team is hard at work covering fashion week from every angle. 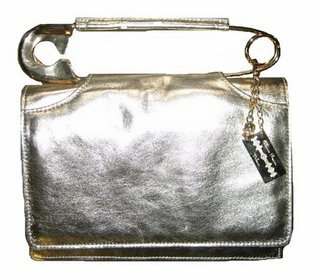 Check out out daily updates at http://www.bagtrends.com/fashionweek_ss07_shows.htm. Influenced by the art deco movement of the 1920’s, Sass & Bide’s Spring-Summer 2007 gals were clad in geometric patterns, including an exclusive black and metallic ‘scaling the fence’ fabric. With defined piping and intricate décolletages and backsides, the models looked like ... READ ON. When I saw this gorgeous, pale-pink petal dress come down the runway at Dragana Ognjenovic, I couldn't help think back to a recent Project Runway Episode. Is it me, or does this dress resemble the one Michael created out of coffee filters during episode one? This solidifies by belief that Michael is going to make it to fashion week. I mean he made this amazing dress in 2 days out of coffee filters!!! Now, I wonder if put his mind to handbag design, what us bagistas would get. Day 1 of fashion week was crazy. Today was Day 2 and we've begun posting reviews. Check out our reviews of FIANDACA, MARC BOUWER, SASS & BIDE, DRAGANA OGENJENOVIC, and GOTTEX. Don't forget to see what trends, tips and gossip we uncover in the tents of Bryant Park!! Highlights so far include a Q&A with Bobbie Thomas' makeup artist. We will be adding NICOLE MILLER, NICOLE ROMANO, JENNI KAYNE and TEREXOV soon. Please excuse my neglect over the past few days. On Wednesday, Bloggers Who Brunch (co-founded by myself and Ms. Lesley Scott of FashionTribes.com) hosted a Fashion Week Kickoff Bash at LOTUS night club in NYC. The event was a wonderful success and some great blog writers (BagTrends, FashionTribes, GirlaWhirl, Styleaholics, WhenTaraMetBlog, Clothing-Pin, Questforit and many others!). See pictures here. Ignore the title of the event; the photographer made a mistake. It was called Bloggers Who Brunch Fashion Week Kickoff Party!! There was a fabulous VIP gift bag with discounts to Caravan and eDressMe.com, books, jewelry from PONO and Fat Free by Cici, and tons more. 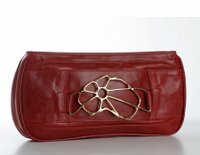 We will be giving away a gift bag to one lucky BagTrends.com ready later on this month. To qualify, become a member!! 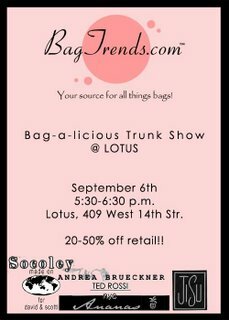 Also, check out daily fashion week coverage at www.bagtrends.com/home.htm. From the shows to the bag-a-licious trends and gossip, we have you covered! The loose crocheting that was all the rage this summer transitions into thicker-knit handbags for the fall. Echoing this trend, the PAGLIEI Figueroa group consists of leather with knit alpaca and woven cinch detail. The bags come in ivory, brandy, olive, salmon and black. Holiday shades will also include taupe, mocha and some pearly/metallic hues. Sneak Peak: For the holidays new shades will be added, including taupe, mocha and some pearly/metallic hues. With black nail polish, black boots with poofy dresses, and black bags with gold hardware, we've entered a darker phase in fashion. Think Gothic Gal meets Park Avenue Princess. For inspiration, look to Ms. Hilton @ last nights VMA's. I must stress the word inspiration because I can't say I love the look from head-to-toes. It's just something to obsorb and incororate into your own wardrobe in smaller doses. Burberry's Quilted Leather Bag is a great investment that will last for many, many seasons. Fat Free by CiCi earrings are made with 100% Italian Lambskin and Swarovski Crystals. Ruthie Davis shoes are high fashion meet high tech. You'll be the bell of the ball in these patent leather pumps.